FULTON, NY – Mildred Bullard, 92, of Homosassa, Florida, and formerly of Fulton, went to be with her Lord on Tuesday August 4, 2015. Born in Yonkers, NY, on March 23, 1923, Mildred lived most of her life in the Fulton area. She sold her house in 2006 and traveled for a while, staying with her daughter in New Jersey, her son in Oklahoma, and finally settling in Florida in 2008. Mildred married Tracey Bullard Sr. on August 23, 1942. Tracey and Mildred lived their life together in Fulton while raising their six children. 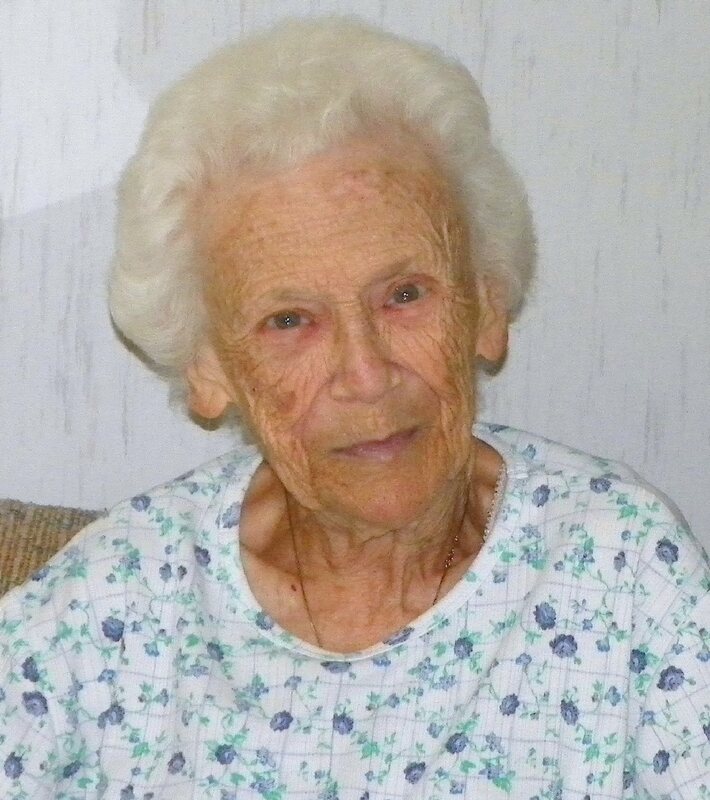 Throughout her life, Mildred devoted herself to the needs of her husband and children. She also found great happiness in practicing her faith, and devoted herself to helping out her church family and raising her children to believe in the power of prayer and the Love of God for all of us. She was a staunch supporter of the St. Jude’s Children Research Hospital, as well as many children’s and veterans’ charities. In her leisure time she enjoyed the company of dear friends, participated in a Fulton City Bowling League and attended Holy Family Church Bingo. Her greatest joys, though, came from family time with her children, grandchildren and great-grandchildren, especially at the holidays. Mildred was predeceased by her husband; her sister, Betty Calabra; her step-sister, Bon Tuminello; and her grandson, Joseph Wood. She is survived and will be greatly missed by her children: Tracey ( Anita) Bullard of Florida, Charlene (Robert) Furlani of New Jersey, Lou Ann (Jim) Monahan of Massachusetts, Faye Wood of New York, Edwin (Michelle) Bullard of Oklahoma and Robert (Anne) Bullard of New York. She also leaves to cherish her memory her sister, Jean; as well as 13 grandchildren and their spouses; eight great-grandchildren; and many nieces and nephews. Calling hours will be held Monday, August 10, from 5-7 p.m. at the Sugar Funeral Home, 224 W. Second St. S., Fulton. An interment service will be held on August 11 at noon at Our Lady of Peace Cemetery, Baldwinsville, NY. We are so very sorry for your loss, if there is anything we can do for you guys let us know. Milly will be missed here in Walden Woods. Our thoughts and prayers are with the family. Faye, I’m so sorry for your loss. Keeping you and your family in my prayers.